What Is The Biggest Fish In The Spring Festival At Whitby ?? Discussion in 'Sea Fishing Forum - Shore, Boat & Kayak Fishing' started by Chris Gibson, Feb 17, 2015. Hi everyone.. With the spring festival just around the corner what is the biggest fish ever caught in the spring festival and by wich boat...? 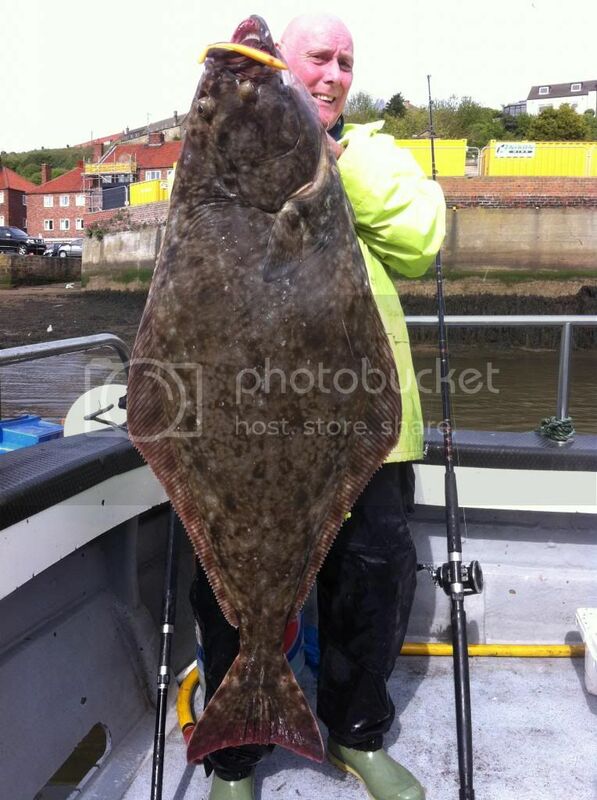 Then again what is the biggest fish ever caught by charter boat or from the shore at whitby.? Hi Chris, this link should be useful in answering your question for you. There's lots of info there. Things may have changed a bit since it was first posted but most of it should be current. Thanks for that Glenn . Excellent page on that and interesting reading. Cant ever see the cod record going but the biggist whitfish on angling boat was the halibut a couple of years not on charterboat but a private boat it was over 70lb caught next to wreck on the 4 mile now thats a beast. One, that is a hell of a boat cod. Jeepers. Two, a 23lb'er from shore ain't too shabby either. But, three, and more impressive - that coal fish! That must have been a fight and a half. Didn't realise it was Smokey who had caught it. Mega-respect there. Think I would have kept it frozen. In a display case. Paying customers, at a £ a time. He could have retired! '90s seemed a good decade. Had seen that picture and thought it was 60's or 70's. Do you know if there was any pictures available of that monster Paul... 1 he'll of a fish that.. I noticed on the list the 28lb cod caught from a kayak ... That would have been interesting pulling that in.. According to the WEATHER MEN we are due an heatwave to co inside with the festival. 8) 8) 8) 8) What's the chances of that..? Hopefully if they are right then we shouldn't get any days cancelled.But the question is the big one WHICH SPIECES DO YOU ALL THINK WILL WIN IT... And to make it more interesting which boat d ya think will get the winner..... Happy forecasting.